About Us: SpeakerWorks.com = Speakers, Speaker Parts, and Speaker Repair. 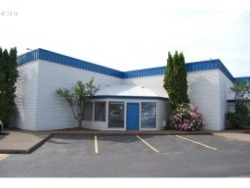 Based in Eugene, Oregon, we have been providing exceptional products and services to customers world-wide since 1997. We specialize in speakers, speaker parts, and speaker repairs. We manufacturer loudspeakers, offer audio consultation and speakers system installations. We offer wholesale and retail sales of speakers & speaker parts on our website. Hours of operation: Monday - Friday 9:00am - 5:00pm PST (except holidays). Mail order phone hours: Monday - Friday 9:00am - 2:00pm PST (except holidays). Ordering: Orders may be placed through our website or by phone ($25.00 minimum phone order. No minimum for online orders). Shipping: Most orders ship by our next business day. Custom made and special order items will take longer. Shipping charges can be easily calculated via our website by adding the product to your shopping cart and entering your state and zip code. Our manufacturing facility is located in an industrial building and we do not offer retail sales at that location. We do offer a local pickup option (at 3003 West 11th Ave. #288 Eugene OR 97402) in our online shopping cart. Credit Cards: We accept Visa, MasterCard & Discover. Orders may be delayed or cancelled if they are not being shipped to the credit card holder at the card billing address. PayPal: We accept payment via PayPal for orders placed online through the shopping cart. Note that PayPal orders that are not covered by the PayPal seller protection policy because of an unconfirmed shipping address, or other reasons, may be cancelled. Money Orders: Orders may be placed by mail using money orders. Use the shopping cart and choose money order under payment options. Our staff would sincerely like to thank all of the customers who have helped our business continue to grow throughout our first decade! Trev, Belinda, Lisa, Diane, Forest, Greg, Bruce, Marx, Carole, and Rich appreciate you. We look forward to serving you in the future.